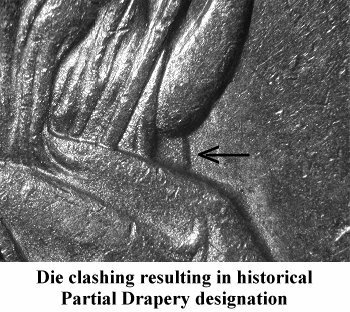 Comments: Obverse 5 shows a die clash mark under Liberty's right elbow that has been mistakenly designated as partial drapery and subsequently listed in major pricing guides as a special Partial Drapery variety. 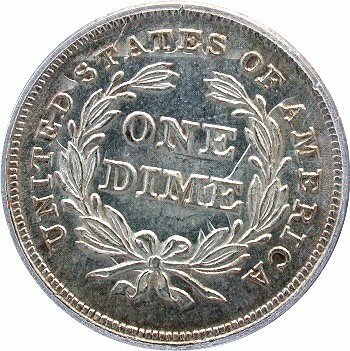 Reverse G exhibits strong die clashing from the contact with the obverse die. 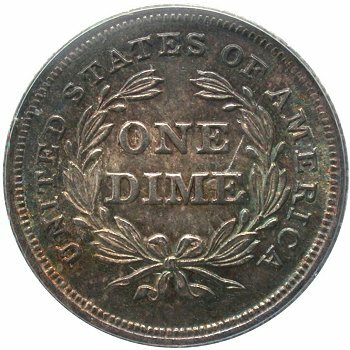 A bold die clash is easily seen along the left side of the right wreath and through DIM(E). 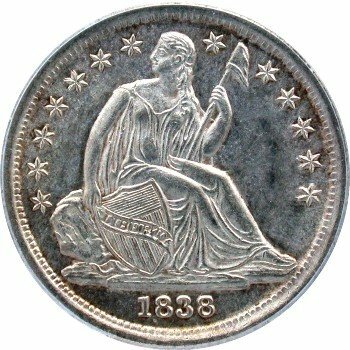 Additional die clashing can be seen behind the middle left wreath and UNITED STATES on very well struck examples (see secondary PCGS AU58 plate coin above). 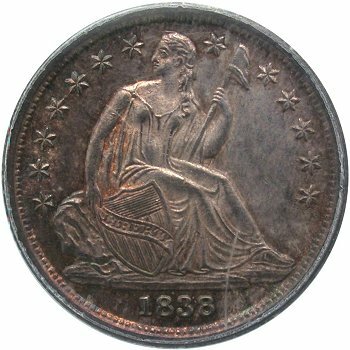 The 1838 Partial Drapery variety is easier to cherrypick by first checking the reverse of 1838 dimes. 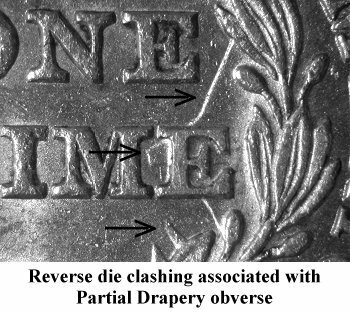 A strong reverse die clash immediately identifies the possibility of a pairing with the Partial Drapery obverse.